NANO BUGZ are Eike and Max, two young producers from Berlin with a neverending interest in twiddling knobs. both started to play DJ-Sets on various events, figuring out how to get a dancefloor moving. After being friends and simultaneously playing around with DAW's for some years already, they decided to team up and form their own musical project NANO BUGZ back in 2013. It didn't take them very long to get something goin' and the first tracks were released in 2014, followed by lots of bookings including first bigger festivals like Freqs Of Nature and SimSalaBoom. 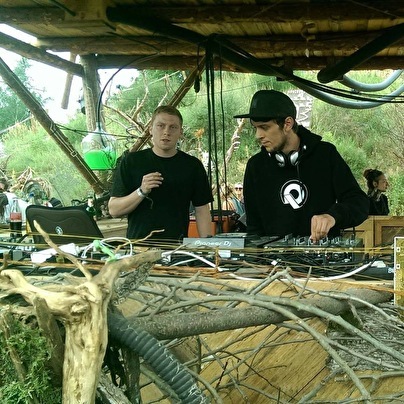 Starting out with high BPM Hi-Tech Trance, they recently got more and more into modular synthesis, spending their days with endless Synth Jams and continously implementing their new skills into their tracks and livesets.